Mark Olson, Director of Bands at Harvard, served as Interim Conductor of the Cambridge Symphony Orchestra, guest conductor of the Metropolitan Wind Symphony, and currently is Director of the Middlesex Concert Band. Olson received his BM degree from Concordia College in Moorhead, MN and an MA degree in Music Education from the University of Minnesota. His conducting teachers have included Craig Kirchhoff and J. Robert Hanson. An active trumpet performer and soloist, he is currently the Principal Trumpet of the Metropolitan Wind Symphony and performs with the New Sousa Band. He is a former member of the Charles River Wind Ensemble, Mankato Symphony Orchestra, Austin Symphony Orchestra, and Winona Brass Band. He has studied trumpet with David Baldwin, Gary Bordner and J. Robert Hanson. 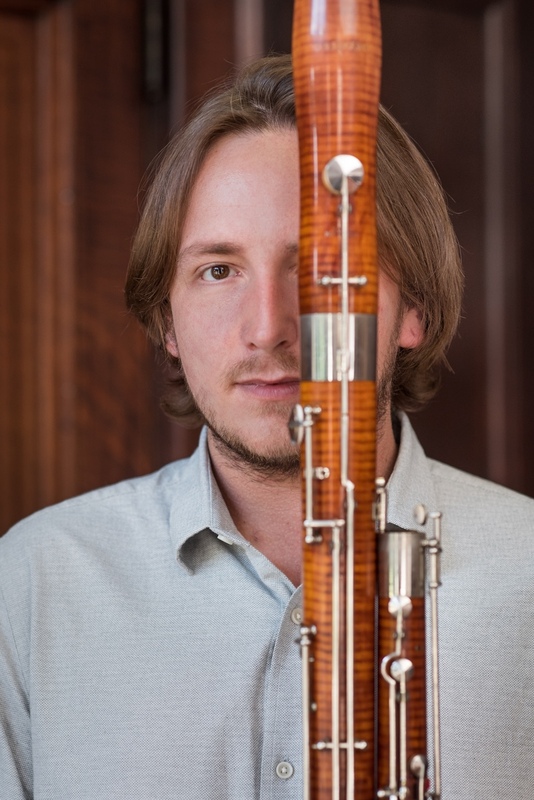 Bassoonist Jensen Ling is an active orchestral and chamber musician in the New England area. Originally from Boca Raton, Florida, he is a keen interpreter of a broad expanse of repertoire, from the Bach canon and standard repertory to Gubaidulina and Sciarrino. 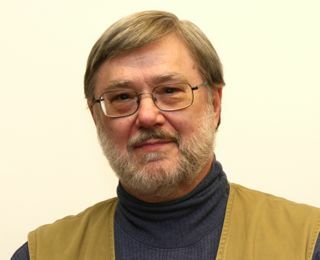 In addition to holding the position of principal bassoon with the Marsh Chapel Collegium, Jensen frequently appears in and around Boston with the Orchestra of Emmanuel Music, Cantata Singers, the Boston Ballet Orchestra, Odyssey Opera, Back Bay Chorale, New Bedford Symphony, Albany Symphony, Symphony New Hampshire, Boston Philharmonic, and Sound Icon. He has also appeared at the Rockport Chamber Festival and was named a Lorraine Hunt Lieberson Fellow for the 2016-2017 Season at Emmanuel Music. He has played under the baton of Ludovic Morlot, Joseph Silverstein, Robert Spano, Gunther Schuller, Maxim Shostakovich, and John Harbison, among others. Jensen studied at The New England Conservatory of Music and Boston University with Boston Symphony bassoonists Gregg Henegar and Richard Ranti, and with Palm Beach Opera bassoonist, Michael Ellert, prior to moving to Boston. Additional studies include chamber music with John Heiss. For the past several summers, Jensen has served as the Young Artists Orchestra Program Manager and as a member of the chamber music faculty at the Boston University Tanglewood Institute in Lenox, Massachusetts. Currently, Jensen makes his home in the great neighborhood of Lower Allston, where he lives with his girlfriend Anna, a violist, and their cat, Pig. When Brown bandies came to steal the drum, both future-manager Sam Coppersmith and newly-appointed director Thomas G. Everett unwittingly helped the thieves load Bertha onto their truck. Despite this inauspicious beginning, Sam went on to become a congressman, and Tom has become well-known for his outstanding contributions to the Harvard Band's past and present. Since his appointment to the Harvard faculty in 1971 until his retirement in 2013, Thomas G. Everett directed the Harvard Wind Ensemble, the Harvard Summer Pops Band, the Marching Band and the Harvard Jazz Bands, which he founded. His musicality has brought the Harvard wind groups to a high pitch of excellence, leading to international tours for both the Wind Ensemble and Jazz Band. Tom is a graduate of the Ithaca College Conservatory of Music. He has held teaching positions at Brown University, the New England Conservatory, the International Trombone Workshop, and the Indiana University Summer School, in addition to Harvard. As a noted bass trombonist, he has performed with the Bolshoi Ballet, the Boston Pops, the Portland (Maine) Symphony, and the jazz bands of Tommy Dorsey, Dizzy Gillespie, and the Ray Charles Orchestra. He is the founder and first president of the International Trombone Association and has premiered in recital over thirty new works for bass trombone. In 1989 the Hungarian government presented him with their Artijus for outstanding performance of Hungarian music. He also conducted a live program of American Wind music on Hungarian radio. Tom and Alice "Mom" Tondel have been the spirit of the Band for the past twenty years. In the tradition of Mal Holmes, Tom has always trusted students to run the band. His musical direction and invaluable historical perspective have supported the Band through its lively years to the current band. As director for 30 years, he has befriended and guided generations of crimson-clad bandies and continues to lead the Band in the spirit of excellence and fun. 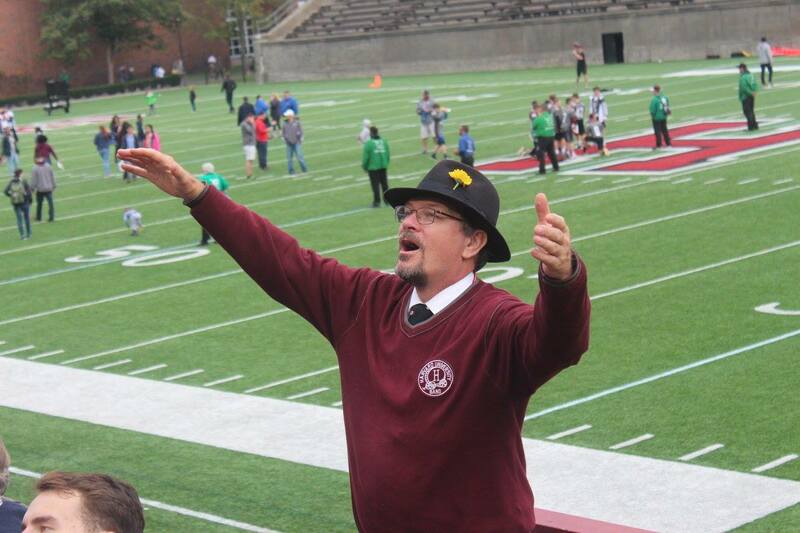 After 40 years of music, Tom retired as director of the Harvard Bands on February 15, 2013.